So there's a really big grade A title out this week. To show you guys I'm topical I'm doing a comic about it. 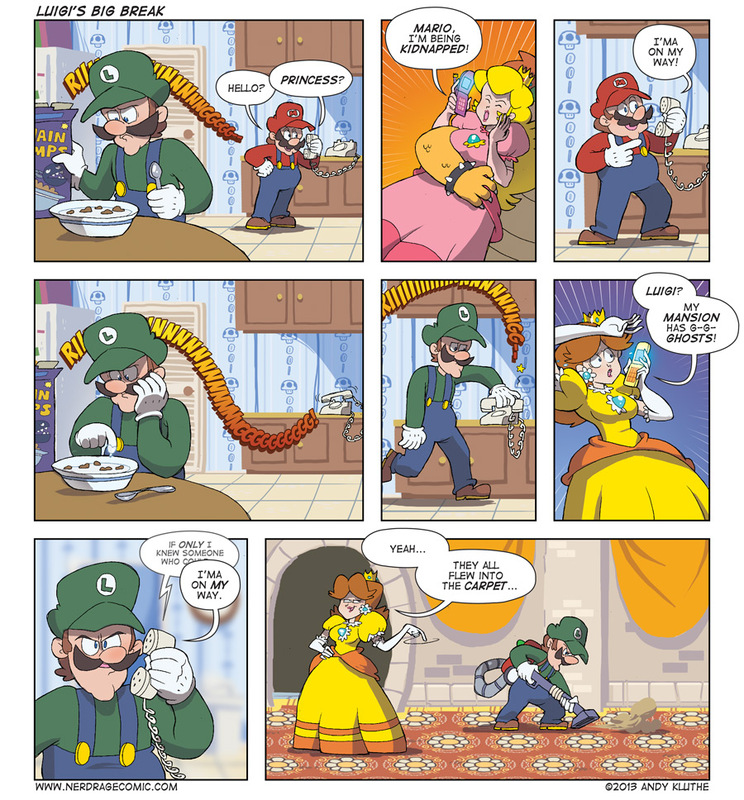 You were expecting something besides Luigi's Mansion? Also I couldn't resist redoing this. I've barely had a chance to play the game, so expect a more critical response in the future. From what I've played so far it's pretty good. This week is also GDC. Which means we've finally gotten the thrilling conclusion to Kojima's viral campaign! Er, sort of, anyway. According to Kojima, the game announced as Metal Gear Solid: Ground Zeroes is a prologue that occurs 9 years before the game announced as The Phantom Pain. Together, the two titles make up Metal Gear Solid V. But this it Metal Gear Solid, a series rife with plot twists and misdirections. How do the two fit together? Why isn't David Hayter returning as Big Boss? Is the Fox Engine actually running on dark magic that makes it look awesome?